» Mike Madeley My Way With Plastic. HomeArticlesMike Madeley My Way With Plastic. 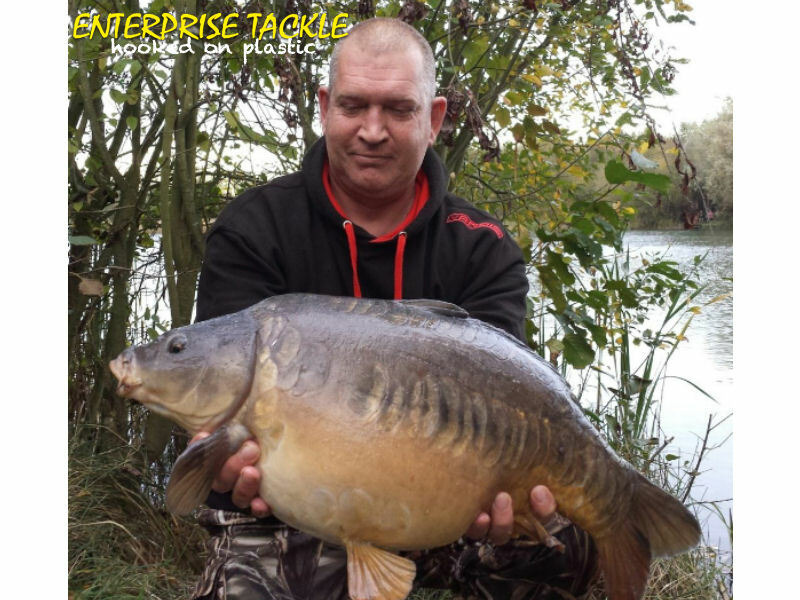 There are now a number of companies who have jumped on the ‘plastic bait bandwagon’, however nothing really comes close to Enterprise Tackle products. Not only were they the first, I personally think no-one else makes products that come closer to the real thing. I was lucky enough to be asked to be part of ‘Team Enterprise’ and one of the privileges that provides is getting to test out new products before they either hit the shops or are a work in progress. And I have to say, there are some fantastic new items ready for 2015! Overall, the ET range is huge, and we all have our own favourites. For me, simply tipping of a boilie with a piece of large popup corn always looks good and gets a bite, but I really do like to think outside the box and try things out. For instance, with the mini popup tigers I triple stack them and use on a chod rig. It looks a bit odd, but having a 33lb 10oz mirror out of a hard water using this is proof that being a bit different can pay huge dividends. As we are now into Winter, with the long dark nights setting in, the Niteglow Corn can be a winner, but I will also be using the new Niteglow Worms as boilie stops just to give a little bit of an attraction to any passing fish to investigate. The imitation maggots have endless uses. They are so lifelike and Enterprise have these spot on. Whether used as line aligner or attached to a rig with the real thing, they can be absolutely devastating. I even thread one or two along the hook length to disguise it a little. 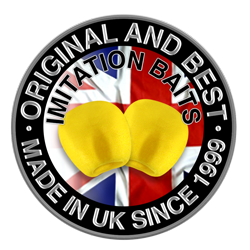 To add a little bit more attraction to the imitation bait, I soak (and keep soaked) in my favourite attractant – usually Betalin. 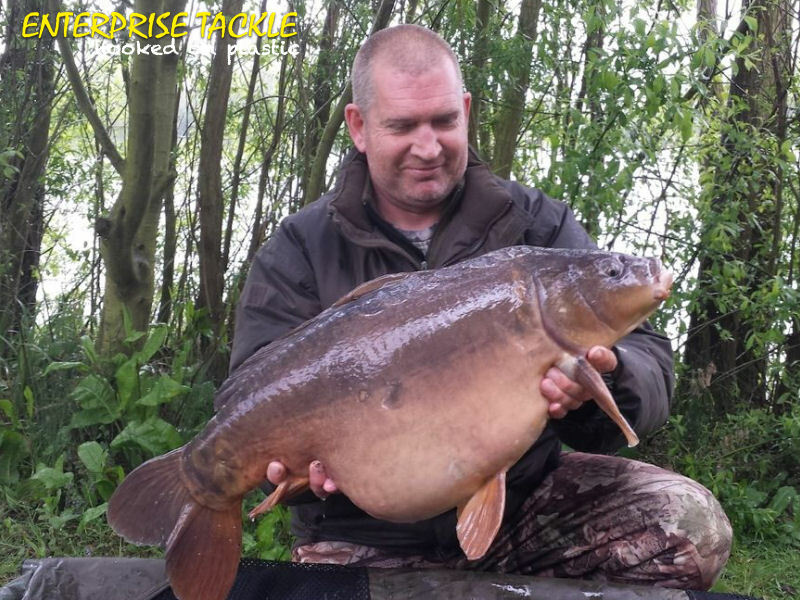 Enterprise baits take on many different flavours really well, and this again can be devastating if used as a single hookbait, which is the way I fish during the colder months. I recently contacted a good friend Florian Lachambre, from France, who is also part of the team, on his approach to using Enterprise products on Lac de Der. Again , it’s all simple approaches with the baits that produce the results. However the baits are used, I always like to watch Frank Warwick’s videos on the Enterprise Tackle YouTube channel. So much information can be gained by watching these. You don’t have to directly copy him, but use the information to adapt your own set-ups because there’s not a lot that man doesn’t know about catching carp! I also love my zig rig fishing and think nothing of using a 12ft zig in the right conditions. It’s a confidence thing zig fishing, and I like to think that with this style you are fishing 100 per cent of the time, as a fish doesn’t need to be particularly on the feed to take a suspended bait. Their inquisitive nature will always get the better of them and they’ll at least mouth it, whereas with a spread of boilies on the bottom, they need to be on the munch to get their heads down. If you look at the Enterprise Zig Beetles and the colour combinations you can do with them, they are absolutely bang on. Alternatively, simply use the ET Zig/Surface baits. These easily pops up a long zig regardless, so as long as I know the zig link and mainline have separated on the cast, I know my zigs are perfectly popped up and sitting suspended for a bite.